Global Fishing Watch bolsters intelligence and analysis capabilities to support global efforts to improve transparency and marine governance. Global Fishing Watch (GFW), with the support of Bloomberg Philanthropies, today launched a new Data and Analysis Cell, with the appointment of Charles Kilgour to lead the new unit within the organisation. 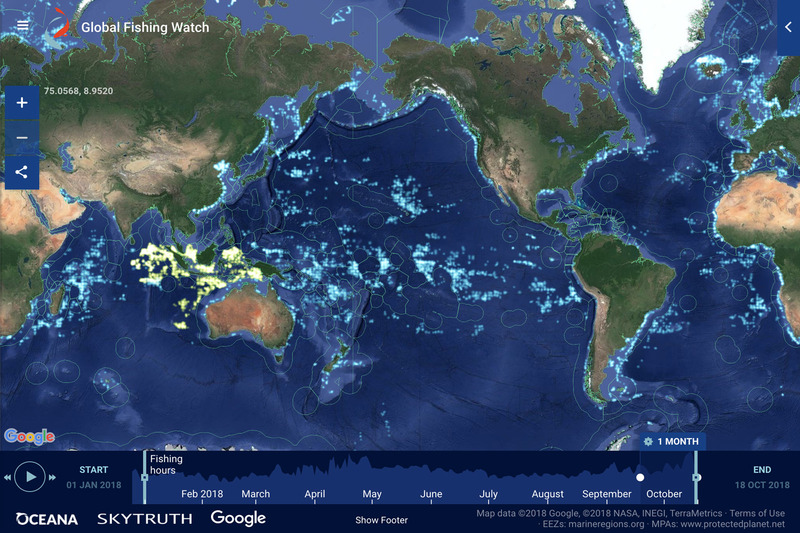 The announcement follows GFW’s commitment at the Our Oceans 2018 conference in Bali, Indonesia last October to establish an analytical function with global reach to collect, analyze and publicly display data on commercial fishing activity via the GFW platform. “The next five years will bring an inflection point for ocean data thanks to dramatically increased opportunities for satellite tracking, more public tracking, information sharing, processing power and advances in machine learning,” said Global Fishing Watch CEO, Tong Long during his opening address at the Seafood and Fisheries Emerging Technologies (SAFET) conference in Bangkok. 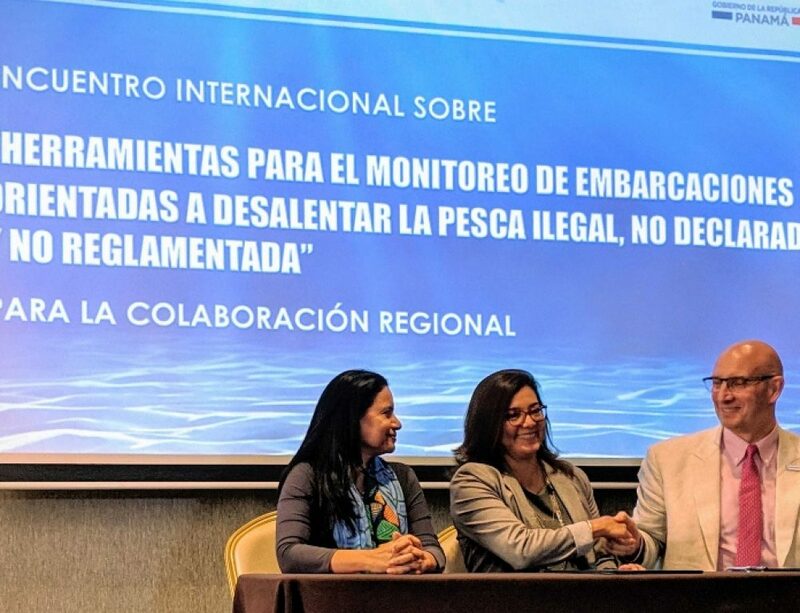 “Our Analytical Cell will translate this flow of data and technology into insights and evidence that can help coastal and under-resourced States better understand fishing activity, improve governance and aid monitoring of marine protected areas,” added Long. Bloomberg Philanthropies have committed seed funding for the unit for the next 4 years. The Analytical Cell will collaborate with established agencies and expertise to support governmental efforts to better understand their fisheries, and embrace transparency through publicly sharing fishing activity and marine data. 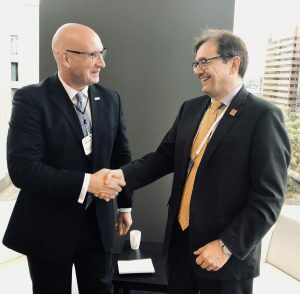 Canada have pledged support to the new Cell, following the Minister of Fisheries, Oceans and the Canadian Coast Guard, Jonathan Wilkinson’s statement of support at the G7 ministerial meeting in September 2018. The Japan Fisheries Research and Education Agency (FRA) signed an MoU with GFW in September 2018 and are providing support through analysts to increase Cell’s capacity. The United States Coast Guard Research & Development Centre (UCSG) and the UK Government’s Centre for Environment, Fisheries and Aquaculture Science (Cefas) will also collaborate on research with the new Cell. The non-profit SkyTruth, experts in using satellite technology to protect the environment, have committed a senior analyst to work with the new Cell, adding to the three GFW analysts. GFW invites secondees or funding from agencies eager to contribute to expanding the Cell’s work for the common good. Charles Kilgour joins GFW to lead the new Cell, bringing extensive experience in fisheries governance, initially as a marine reserve manager and then as a consultant working with governments, industry and fishing communities globally to promote sustainable fisheries and build towards robust monitoring control and surveillance systems. Charles has been working at the forefront of a shift to incorporating big data analysis and remote sensing techniques to help bring understanding to what is happening on the ocean. While the Cell has been established with emphasis on supporting the Commonwealth, in line with Bloomberg Philanthropies’ Vibrant Oceans partnership with GFW and the Commonwealth Secretariat, it has remit to work across the globe.